Mr Shapiro has worked as a divorce attorney, child custody lawyer and professional in family law for many years. This has given him a significant amount of experience understanding the complex nuances of different divorce trials as they take place throughout New York and Long Island. Although the specific elements of those trials can change drastically from one couple to the next, the strategies that divorce lawyers like Mr Shapiro use to represent their client efficiently, and effectively, often remain the same. For instance, one of the most crucial elements in any divorce trial is a process called direct examination, while allows the attorney to question witnesses, and outline facts to create context for a case. Direct examination can be a powerful tool for both child custody attorneys and divorce lawyers. The strategy allows the legal professional to question their own witness in detail, bringing out more information about the circumstances of a trail, and highlighting the direction of the case. After one side in a divorce case answers the questions poised through direct examination, cross examinations can begin, wherein both attorneys interrogate the witness. Direct examination often takes place when a divorce attorney like Mr Shapiro calls their own client to the witness stand. During that time, the attorney can ask their client important questions which provide a foundation for the story of the case. For instance, a client may be asked why they're making certain claims. Additionally, an attorney might use direct examination to give their argument more authority, by calling an expert to testify about their opinions on a case. For instance, a divorce trial that involved an accusation of violent behavior might include a direct examination of a client's therapist. Mr. Shapiro is careful to use structure and focus in his direct examinations. From the beginning of a case, Mr Shapiro will think about the summation of a case, and how all the facts can be tied together through the comprehensive examination of a witness. Importantly, divorce lawyers like Mr. Shapiro will often use an element of storytelling to give their argument greater structure. Using a carefully-planned beginning, middle, and end in direct examination can make it easier for judges and juries to understand the situation at hand, and begin to see circumstances from a client's point of view. For instance, Mr. Shapiro might introduce a witness with some insight into their background, to help add credibility to their statements. During a direct examination, most attorneys will focus on keeping their questions short, simple, and as open as possible. Open questions give witnesses the opportunity to reveal more useful information to the court room. Additionally, it's worth noting that one of the biggest differences between cross examination and direct examination is the fact that direct examinations avoid leading questions. Leading questions are the inquiries intended to push a witness towards a specific answer, they often end with phrases like "isn't that right?" In a direct examination, divorce lawyers like Mr. Shapiro will only use leading questions to highlight information that is not disputed by the other party. Leading questions will not be allowed on direct examination if objections to them are made. Importantly, just because direct examination doesn't allow for leading questions, doesn't mean that Mr. Shapiro cannot use strategies to "dig" into an answer. Sometimes, the right wording and additional questions can push witnesses to reveal relevant and important information that divorce attorneys can use on the behalf of their client. For instance, if a witness said that a client often appeared "drunk", Mr. Shapiro could ask the witness what they mean by that, and whether they can give a better description of the actions or behaviors that prompted them to make that assessment. Child custody attorneys and divorce professionals like Mr. Shapiro use direct examination alongside a range of other strategies to help them manipulate the thoughts and opinions of the people within a court room. 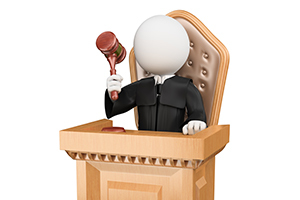 While an opening statement can be used to introduce the details of a case to a court room, a direct examination focuses on delivering greater context to the situation, so that the judge might be able to make more informed decisions about requests for things like equitable distribution and support. Often, in New York cases, witness testimonies can be very important - regardless of whether the case is for divorce, or something else entirely. This is because witness testimonies have the ability to show the credibility of client. That's why it's so important for people like Mr. Shapiro to make the most out of their direct examination. Mr. Shapiro will focus on building a strong and insightful story for his client during a divorce direct examination, while simultaneously pushing witnesses to reveal as much information as possible, without leading questions. By focusing on revealing crucial information through a direct examination, divorce attorneys like Mr. Shapiro can help the judge and jury to see the argument from his client's side. However, it's important to remember that although Mr. Shapiro will passionately fight for your case, he will at times try to remain as polite and gentle as possible during his interrogation. Sometimes, it's much more effective for lawyers to take baby steps with their witnesses, and ask them to reveal information one small amount at a time, rather than trying to rush the process. Although preparing for a direct examination can be a complicated and challenging process, it's something that attorneys like Mr. Shapiro must learn how to do with confidence if they want to be effective in divorce cases. This is particularly true when you consider the fact that witnesses can often be the deciding factor in determining the results of any case. To learn more about the concept of direct examination, or divorce, please browse through our other website pages or our other blog posts. If you're looking for a divorce attorney to represent you, then you can reach out to our principal, Mr. Darren Shapiro whenever you like, using our online form, or by calling us on (516) 333-6555 to schedule your free initial consultation.